We find that we cook and bake more than ever during the autumn months, so swapping an apron and along with a few other goodies is perfect for a fun way to meet others! Sign up by completing this form so that your swapper will know your snail mail address, favorite colors, fabrics and little bit more about you! Sign up starts today and will be open to October 6. Spread the word. Post the swap button (below) via instagram, tweet, facebook - the more the merrier! Start shopping or sewing. 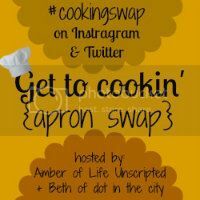 The apron you send can be thrifted, handmade or store bought - you will get your swapping partner info by October 10. Wrap up your goodies and mail them by October 17. *patiently* wait for your goodies to arrive! Link up your goodies on Beth or Amber's blog on October 31. How much money do I need to spend? None - you may have a plethora of aprons and you have the prefect one for your partner or we may have just given you the prefect excuse to go thrifting or shopping. Do I need to have a blog to participate? No it is not necessary to have a blog to be apart of this swap. If you're on Twitter or Instragram, please share that info when you sign up so that you can still be connected! Oh you bet your knickers we are hosting a giveaway!! 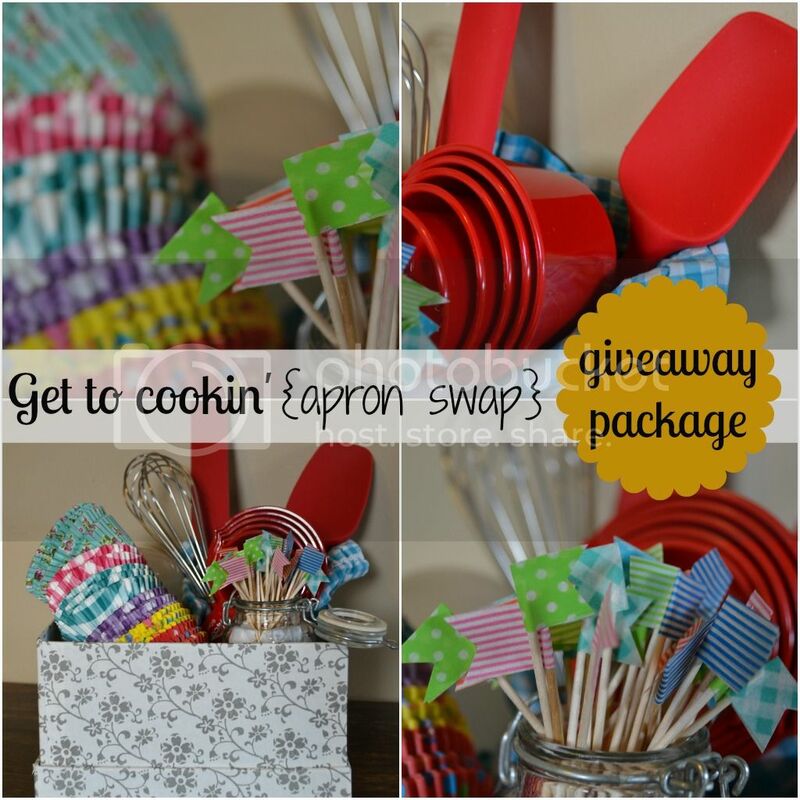 You have the chance to win this super fun baking package pictured below! How do I enter this amazing giveaway, you may ask?? Enter using the Rafflecopter Widget below. Winner will be announced October 8th! I love to bake pretty much anything but cupcakes are my jam! Oh Beth! This is SOOOOOO awesome! YAY! LOVE this idea! I just completed my form!